Originally published under the title "A New Strategy for Israeli Victory." 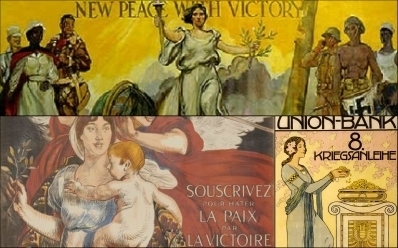 The idea that peace can be best achieved through military victory is hardly new. Israeli-Palestinian diplomacy sadly fits the classic description of insanity: "doing the same thing over and over again and expecting different results." The identical assumptions – land-for-peace and the two-state solution, with the burden primarily on Israel – stay permanently in place, no matter how often they fail. Decades of what insiders call "peace processing" has left matters worse than when they started, yet the great powers persist, sending diplomat after diplomat to Jerusalem and Ramallah, ever hoping that the next round of negotiations will lead to the elusive breakthrough. The time is ripe for a new approach, a basic re-thinking of the problem. It draws on Israel's successful strategy as carried out through its first 45 years. The failure of Israeli-Palestinian diplomacy since 1993 suggests this alternative approach – with a stress on Israeli toughness in pursuit of victory. This would, paradoxically perhaps, be of benefit to Palestinians and bolster American support. Since the Balfour Declaration of 1917, Palestinians and Israelis have pursued static and opposite goals. In the years before the establishment of the new state, the mufti of Jerusalem, Amin al-Husseini, articulated a policy of rejectionism, or eliminating every vestige of Jewish presence in what is now the territory of Israel.It remains in place. Maps in Arabic which show a "Palestine" replacing Israel symbolize this continued aspiration. A 2016 UNRWA textbook assignment instructs Palestinian schoolchildren: "I will color the map of my homeland with the colors of the Palestinian flag." Rejectionism runs so deep that it drives not just Palestinian politics but much of Palestinian life. With consistency, energy, and perseverance, Palestinians have pursued rejectionism via three main approaches: demoralizing Zionists through political violence, damaging Israel's economy through trade boycotts, and weakening Israel's legitimacy by winning foreign support. Differences between Palestinian factions tend to be tactical: Talk to the Israelis to win concessions from them or not? Mahmoud Abbas represents the former outlook and Khaled Mashal the latter. On the Israeli side, nearly everyone agrees on the need to win acceptance by Palestinians (and other Arabs and Muslims); differences are again tactical. David Ben-Gurion articulated one approach, that of showing Palestinians what they can gain from Zionism. Vladimir Jabotinsky developed the opposite vision, arguing that Zionists have no choice but to break the Palestinians' intractable will. Their rival approaches remain the touchstones of Israel's foreign-policy debate, with Isaac Herzog heir to Ben-Gurion and Binyamin Netanyahu to Jabotinsky. These two pursuits – rejectionism and acceptance – have remained basically unchanged for a century; today's Palestinian Authority, Hamas, Labor, and Likud are lineal descendants of Husseini, Ben-Gurion, and Jabotinsky. Varying ideologies, objectives, tactics, strategies, and actors mean that details have varied, even as the fundamentals remained remarkably in place. Formal agreements, such as the 1993 Oslo Accords, have only increased hostility to Israel's existence. Wars and treaties came and went, leading to only minor shifts. The many rounds of fighting had surprisingly little impact on ultimate goals, while formal agreements (such as the Oslo Accords of 1993) only increase hostility to Israel's existence and so were counterproductive. Palestinian rejection or acceptance of Israel is binary: yes or no, without in-betweens. This renders compromise nearly impossible because resolution requires one side fully to abandon its goal. Either Palestinians give up their century-long rejection of the Jewish state or Zionists give up their 150-year quest for a sovereign homeland. Anything other than these two outcomes is an unstable settlement that merely serves as the premise for a future round of conflict. Deterrence, that is, convincing Palestinians and the Arab states to accept Israel's existence by threatening painful retaliation, underlay Israel's formidable record of strategic vision and tactical brilliance in the period 1948 to 1993. Over this time, deterrence worked to the extent that Israel's Arab state enemies saw the country very differently by the end of that period; in 1948, invading Arab armies expected to throttle the Jewish state at birth, but by 1993, Arafat felt compelled to sign an agreement with Israel's prime minister. Deterrence underlay Israel's formidable record of strategic vision and tactical brilliance from 1948 to 1993. That said, deterrence did not finish the job; as Israelis built a modern, democratic, affluent, and powerful country, the fact that Palestinians, Arabs, Muslims, and (increasingly) the left still rejected it became a source of mounting frustration. Israel's impatient, on-the-go populace grew weary with the unattractive qualities of deterrence, which by nature is passive, indirect, harsh, slow, boring, humiliating, reactive, and costly. It is also internationally unpopular. That impatience led to the diplomatic process that culminated with the handshake confirming the signing of the Oslo Accords on the White House lawn in September 1993. For a brief period, "The Handshake" (as it was then capitalized) between Palestinian leader Yasir Arafat and Israeli prime minister Yitzhak Rabin served as the symbol of successful mediation that gave each side what it most wanted: dignity and autonomy for Palestinians, recognition and security for Israelis. Among many accolades, Arafat, Rabin, and Israel's Foreign Minister Shimon Peres won the Nobel Peace Prize. Israelis and Palestinians concur with near-unanimity on Oslo having been a disaster. The accords, however, quickly disappointed both sides. Indeed, while Israelis and Palestinians agree on little else, they concur with near-unanimity on Oslo having been a disaster. When Palestinians still lived under direct Israeli control before Oslo, acceptance of Israel had increased over time even as political violence diminished. Residents of the West Bank and Gaza could travel locally without checkpoints and access work sites within Israel. They benefited from the rule of law and an economy that more than quadrupled without depending on foreign aid. Functioning schools and hospitals emerged, as did several universities. Yasir Arafat promised to turn Gaza into "the Singapore of the Middle East," but his despotism and aggression against Israel instead turned his fiefdom into a nightmare, resembling Congo more than Singapore. Unwilling to give up on the permanent revolution and to become the ordinary leader of an obscure state, he exploited the Oslo Accords to inflict economic dependence, tyranny, failed institutions, corruption, Islamism, and a death cult on Palestinians. 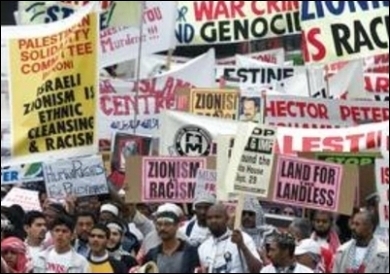 The UN World Conference against Racism in Durban marked the coming out of leftist anti-Zionism. For Israelis, Oslo led not to the hoped-for end of conflict but inflamed Palestinian ambitions to eliminate the Jewish state. As Palestinian rage spiraled upward, more Israelis were murdered in the five years post-Oslo than in the fifteen years preceding it. Rabble-rousing speech and violent actions soared - and continue unabated 23 years later. Moreover, Palestinian delegitimization efforts cost Israel internationally as the left turned against it, spawning such anti-Zionist novelties as the UN World Conference against Racism in Durban and the Boycott, Divestment, and Sanctions (BDS) movement. From Israel's perspective, seven years of Oslo appeasement, 1993-2000, undid 45 years of successful deterrence; then, six years of unilateral withdrawals, 2000-06, further buried deterrence. The decade since 2006 has witnessed no major changes. The Oslo exercise showed the futility of Israeli concessions to Palestinians when the latter fail to live up to their obligations. By signaling Israeli weakness, Oslo made a bad situation worse. What is conventionally called the "peace process" would more accurately be dubbed the "war process." Why did things go so wrong in what seemed so promising an agreement? Moral responsibility for the collapse of Oslo lies solely with Yasir Arafat, Mahmoud Abbas, and the rest of the Palestinian Authority leadership. They pretended to abandon rejectionism and accept Israel's existence but, in fact, sought Israel's elimination in new, more sophisticated ways, replacing force with delegitimization. 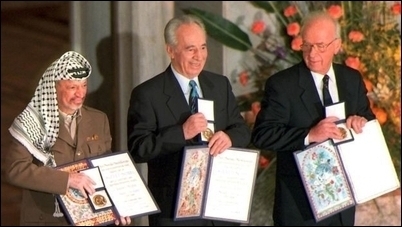 Yasir Arafat, above left with Peres and Rabin sharing the Nobel Prize in 1994, was unwilling to become the ordinary leader of an obscure state. This said, the Israelis made a profound mistake, having entered the Oslo process with a false premise. Yitzhak Rabin often summed up this error in the phrase "You don't make peace with friends. You make it with very unsavory enemies." In other words, he expected war to be concluded through goodwill, conciliation, mediation, flexibility, restraint, generosity, and compromise, topped off with signatures on official documents. In this spirit, his government and all its successors agreed to a wide array of concessions, even to the point of permitting a Palestinian militia, always hoping the Palestinians would reciprocate by accepting the Jewish state. They never did. To the contrary, Israeli compromises aggravated Palestinian hostility. Each gesture further radicalized, exhilarated, and mobilized the Palestinian body politic. Israeli efforts to "make peace" were received as signs of demoralization and weakness. "Painful concessions" reduced the Palestinian awe of Israel, m­­ade the Jewish state appear vulnerable, and inspired irredentist dreams of annihilation. In retrospect, this does not surprise. Contrary to Rabin's slogan, one does not "make [peace] with very unsavory enemies" but rather with former very unsavory enemies. That is, enemies that have been defeated. This brings us to the key concept of my approach, which is victory, or imposing one's will on the enemy, compelling him through loss to give up his war ambitions. Wars end, the historical record shows, not through goodwill but through defeat. He who does not win loses. Wars usually end when failure causes one side to despair, when that side has abandoned its war aims and accepted defeat, and when that defeat has exhausted its will to fight. Conversely, so long as both combatants still hope to achieve their war objectives, fighting either goes on or it potentially will resume. 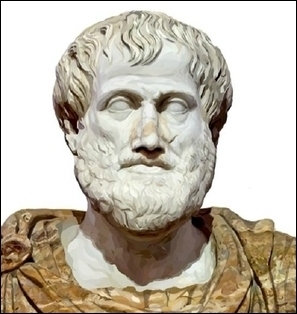 Thinkers and warriors through the ages concur on the importance of victory as the correct goal of warfare. For example, Aristotle wrote that "victory is the end of generalship" and Dwight D. Eisenhower stated that "In war, there is no substitute for victory." Technological advancement has not altered this enduring human truth. Twentieth-century conflicts that ended decisively include World War II, China-India, Algeria-France, North Vietnam-United States, Great Britain-Argentina, Afghanistan-U.S.S.R., and the Cold War. Defeat can result either from a military thrashing or from an accretion of economic and political pressures; it does not require total military loss or economic destruction, much less the annihilation of a population. For example, the only defeat in U.S. history, in South Vietnam in 1975, occurred not because of economic collapse or running out of ammunition or battlefield failure (the American side was winning the ground war) but because Americans lost the will to soldier on. Indeed, 1945 marks a dividing line. Before then, overwhelming military superiority crushed the enemy's will to fight; since then, grand battlefield successes have rarely occurred. Battlefield superiority no longer translates as it once did into breaking the enemy's resolve to fight. In Clausewitz' terms, morale and will are now the center of gravity, not tanks and ships. Although the French outmanned and out-gunned their foes in Algeria, as did the Americans in Vietnam and the Soviets in Afghanistan, all these powers lost their wars. Conversely, battlefield losses suffered by the Arab states in 1948-82, by North Korea in 1950-53, and by Iraq in 1991 and 2003 did not translate into surrender and defeat. When a losing side preserves its war goals, the resumption of warfare remains possible, and even likely. Germans retained their goal of ruling Europe after their defeat in World War I and looked to Hitler for another try, prompting the Allies to aim for total victory to ensure against the Germans trying a third time. The Korean War ended in 1953, but North and South have both held on to their war goals, meaning that the conflict might resume at any time, as could wars between India and Pakistan. The Arabs lost each round of warfare with Israel (1948-49, 1956, 1967, 1973, and 1982) but long saw their defeats as merely transient and spoiled for another try. How might Israel induce the Palestinians to drop rejectionism? Territorial retreat from the West Bank or territorial compromise within the West Bank. Lease the land under Israeli towns on the West Bank. Finding creative ways to divide the Temple Mount. Raising international funds (on the Marshall Plan model). Insisting that Jordan is Palestine. Excluding disloyal Palestinians from Israeli citizenship. Expelling Palestinians from lands controlled by Israel. Trouble is, none of these plans addresses the need to break the Palestinian will to fight. They all manage the conflict without resolving it. They all seek to finesse victory with a gimmick. Just as the Oslo negotiations failed, so too will every other scheme that sidesteps the hard work of winning. Israel should return to its old policy of deterrence, punishing Palestinians when they aggress. This historical pattern implies that Israel has just one option to win Palestinian acceptance: a return to its old policy of deterrence, punishing Palestinians when they aggress. Deterrence amounts to more than tough tactics, which every Israeli government pursues; it requires systemic policies that encourage Palestinians to accept Israel and discourage rejectionism. It requires a long-term strategy that promotes a change of heart. When Palestinian "martyrs" cause material damage, pay for repairs out of the roughly $300 million in tax obligations the government of Israel transfers to the Palestinian Authority (PA) each year. Respond to activities designed to isolate and weaken Israel internationally by limiting access to the West Bank. When a Palestinian attacker is killed, bury the body quietly and anonymously in a potter's field. When the PA leadership incites to violence, prevent officials from returning to the PA from abroad. Respond to the murder of Israelis by expanding Jewish towns on the West Bank. When official PA guns are turned against Israelis, seize these and prohibit new ones, and if this happens repeatedly, dismantle the PA's security infrastructure. Should violence continue, reduce and then shut off the water and electricity that Israel supplies. In the case of gunfire, mortar shelling, and rockets, occupy and control the areas from which these originate. Of course, these steps run exactly counter to the consensus view in Israel today, which seeks above all to keep Palestinians quiescent. But this myopic viewpoint formed under unremitting pressure from the outside world, and the U.S. government especially, to accommodate the PA. The removal of such pressure will undoubtedly encourage Israelis to adopt the more assertive tactics outlined here. True peacemaking means finding ways to coerce Palestinians to undergo a change of heart, giving up rejectionism, accepting Jews, Zionism, and Israel. When enough Palestinians abandon the dream of eliminating Israel, they will make concessions needed to end the conflict. To end the conflict, Israel must convince 50 percent and more of the Palestinians that they have lost. 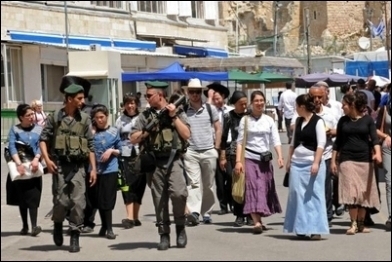 Israeli border police guard a group of Israeli tourists visiting Hebron in April 2014. The goal here is not Palestinian love of Zion, but closing down the apparatus of war: shuttering suicide factories, removing the demonization of Jews and Israel, recognizing Jewish ties to Jerusalem, and "normalizing" relations with Israelis. Palestinian acceptance of Israel will be achieved when, over a protracted period and with complete consistency, the violence ends, replaced by sharply worded démarches and letters to the editor. Symbolically, the conflict will be over when Jews living in Hebron (in the West Bank) have no more need for security than Palestinians living in Nazareth (in Israel). To those who hold Palestinians too fanatical to be defeated, I reply: if Germans and Japanese, no less fanatical and far more powerful, could be defeated in World War II and then turned into normal citizens, why not the Palestinians now? Moreover, Muslims have repeatedly given in to infidels through history when faced with a determined superior force, from Spain to the Balkans to Lebanon. Israel enjoys two pieces of good fortune. First, its effort does not begin at null; polls and other indicators suggest that 20 percent of Palestinians and other Arabs consistently accept the Jewish state. Second, it need deter only the Palestinians, a very weak actor, and not the whole Arab or Muslim population. However feeble in objective terms (economics, military power), Palestinians spearhead the war against Israel; so, when they abandon rejectionism, others (like Moroccans, Iranians, Malaysians, et al.) take their cues from Palestinians and, over time, will likely follow their lead. However much Israelis gain from ending their residual Palestinian problem, they live in a successful modern country that has absorbed the violence and delegitimization imposed on them. Surveys, for example, show Israelis to be among the happiest people anywhere, and the country's burgeoning birth rate confirms these impressions. In contrast, Palestinians are mired in misery and constitute the most radicalized population in the world. Opinion surveys consistently show them choosing nihilism. Which other parents celebrate their children becoming suicide bombers? Which other people gives higher priority to harming its neighbor than improving its own lot? Hamas and the Palestinian Authority both run authoritarian regimes that repress their subjects and pursue destructive goals. The economy in the West Bank and Gaza depends, more than anywhere else, on free money from abroad, creating both dependence and resentment. Palestinian mores are backward and becoming more medieval all the time. A skilled and ambitious people is locked into political repression, failed institutions, and a culture celebrating delusion, extremism, and self-destruction. Defeat will free Palestinians to develop their own polity, economy, society, and culture. An Israel victory liberates Palestinians. Defeat compels them to come to terms with their irredentist fantasies and the empty rhetoric of revolution. Defeat also frees them to improve their own lives. Unleashed from a genocidal obsession against Israel, Palestinians can become a normal people and develop their polity, economy, society, and culture. Negotiations could finally begin in earnest. In all, given their far lower starting point, Palestinians would, ironically, gain even more from their defeat than the Israelis from their victory. That said, this change won't be easy or quick: Palestinians will have to pass through the bitter crucible of defeat, with all its deprivation, destruction, and despair as they repudiate the filthy legacy of Amin al-Husseini and acknowledge their century-long error. But there is no shortcut. Palestinians deploy a unique global support team consisting of the United Nations and vast numbers of journalists, activists, educators, artists, Islamists, and leftists. No obscure African liberation front they, but the world's favored revolutionary cause. This makes Israel's task long, difficult, and dependent on stalwart allies, foremost the U.S. government. For Washington to be helpful means not dragging the parties back again to more negotiations but robustly supporting Israel's path to victory. That translates into not just backing episodic Israeli shows of force but a sustained and systematic international effort of working with Israel, select Arab states, and others to convince the Palestinians of the futility of their rejectionism: Israel is there, it's permanent, and it enjoys wide backing. That means supporting Israel taking the tough steps outlined above, from burying murderers' bodies anonymously to shuttering the Palestinian Authority. It means diplomatic support for Israel, such as undoing the "Palestine refugee" farce and rejecting the claim of Jerusalem as the Palestinian capital. Diplomacy is premature until Palestinians accept the Jewish state. It also entails ending benefits to the Palestinians unless they work toward the full and permanent acceptance of Israel: no diplomacy, no recognition as a state, no financial aid, and certainly no weapons, much less militia training. Israeli-Palestinian diplomacy is premature until Palestinians accept the Jewish state. The central issues of the Oslo Accords (borders, water, armaments, sanctities, Jewish communities in the West Bank, "Palestine refugees") cannot be usefully discussed so long as one party still rejects the other. But negotiations can re-open and take up anew the Oslo issues upon the joyful moment that Palestinians accept the Jewish state. That prospect, however, lies in the distant future. For now, Israel needs to win.